Back in May 2007, I joined facebook and by July, I had started a separate blog called www.facebookenthusiast.com for promoting my services as a facebook marketing expert. Within facebook, I have started to gain clients who are part of the creative community. This includes authors and musicians. Last week, I began to develop marketing strategies for the release of an independent novel which is a magical romance. The author, Julie Ann Shapiro, is relatively young, yet prolific in the writing of short stories and "flash novels". 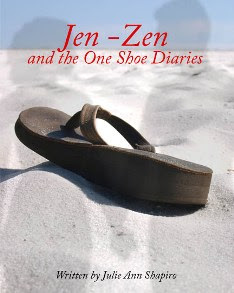 This week we began to promote her first novel called "Jen-Zen and the One Shoe Diaries" We began to promote the book both inside and outside of facebook including looking for tie-ins with shoe companies and retailers. We also will be pursuing other media outlets for possible development of the book and other stories which could be developed into film or television projects. This is already a fun and rewarding journey as I learn about the marketing of fiction in the new world of electronic publishing and its intersection with social networks. Was wondering whether you would like to exchange links? My blog is on media, creative-thinking and more. If not, sorry to bother.